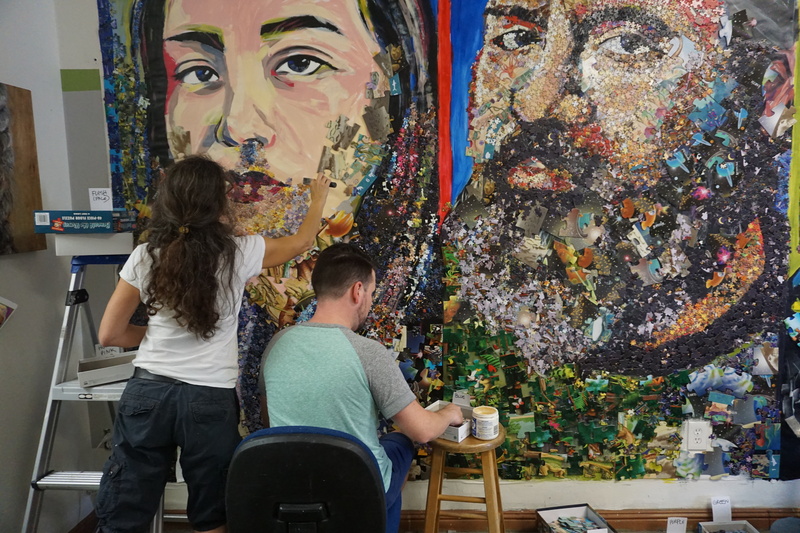 We created a massive mural using 30,000 puzzle pieces that were hand embellished by young people. The finished mural depicted three diverse members of the community. The installation was part of Paul Richmond’s Face to Face exhibition at Open Ground Studios that opened Friday, Sept. 8, 2017. Pieced Together is a celebration of individuality. 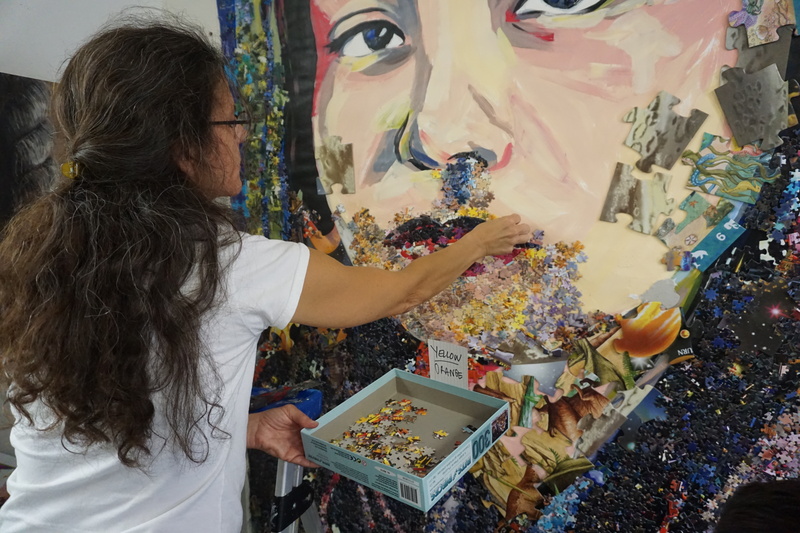 By departing from the original intended purpose of the puzzle pieces in order to create large portraits of diverse community members, the artists had to look at each one and appreciate what it had to offer the new image, rather than simply plugging it into an assigned space. The symbolism of this process parallels the primary mission of the You Will Rise Project, empowering young people to overcome bullying, celebrate their individuality, and share their unique talents with the world. 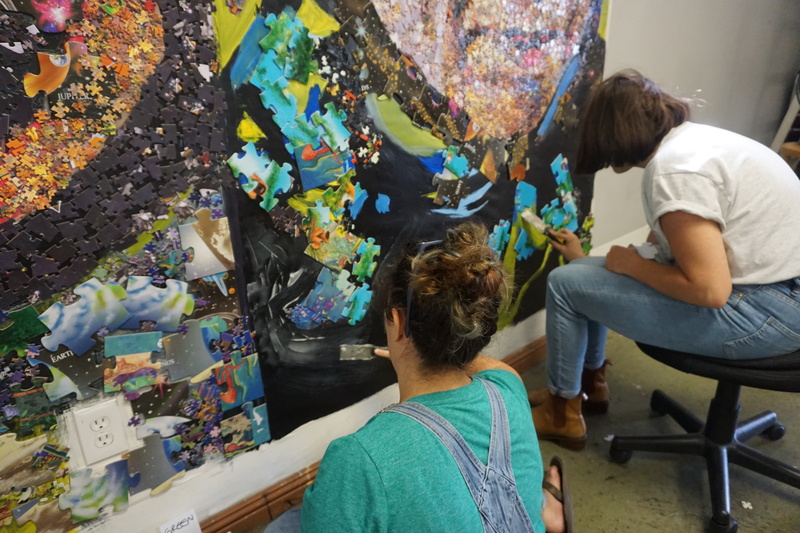 Open Ground Studios is an oasis for self-expression through the artistic soul; we are a safe-haven for the novice, an ally for the professional artist and entrepreneur, and a home for the creative adult. 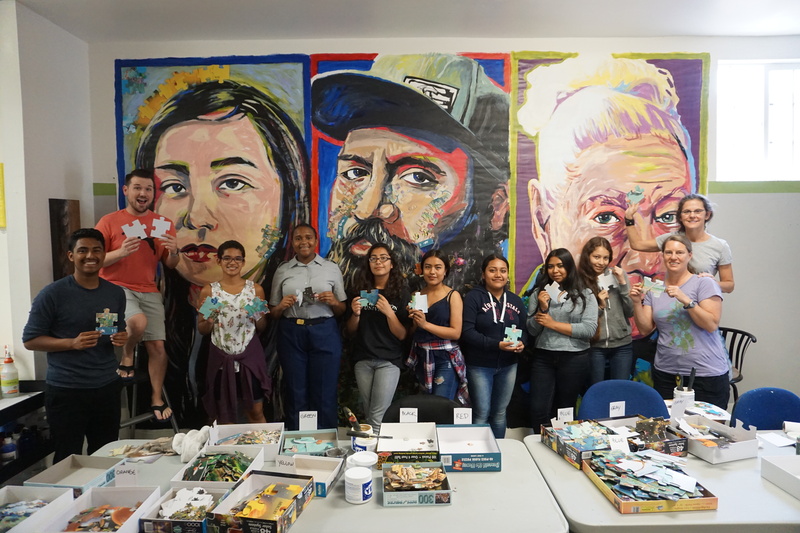 OGS is a place where art is the vehicle for learning, practice and connection. Learn more at opengroundstudios.com.